Sometimes it amazes me that there is an entire world one can enter through the portal of a electronic box. The only reason this doesn’t always amaze me is that I tend to take the Internet for granted, which, perhaps, is a sign of my addiction. The cyber world is infinitely fascinating and filled with exciting possibilities. A potential friend could lurk behind an anonymous blog view. 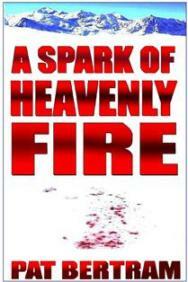 A possible fan might discover one of my books because of a guest appearance on a blog. I might learn something new on a discussion thread, or I might read a comment that fires my imagination. I’ve put my addiction to the Internet to good use. I’ve wanted to do all I can to give my books a good send-off, and since I started from zero, I had to learn how to blog, to discuss, to connect on the internet. That in itself satisfied my creative bent for a long time, but now the doubts are starting to creep in. I’m getting known as a blogger and a promoter, but am I getting known as an author? At Sun Singer’s Travels, author Malcolm Campbell asks: Are you tired of spending more hours a week on Facebook than you are writing? Are you tired of writing more words on all your blogs than you’re writing in all your novels? And, do you ever wonder if you’re becoming less yourself by trying to think of a constant stream of posts, status updates, comments and links that match all the latest trends enough that somebody will notice and stop and look for a moment? Such interesting questions, ones I hadn’t asked myself until recently. I used to think that I am more myself online than offline, but now I am beginning to wonder if I am losing my offline self. Are my posts and comments reflecting me, or are they creating me? Am I still a writer, or have I simply become a blogger? I know that whatever I am doing is helping establish my online presence, but will it sell books? I do believe in the Internet. I think the future of books (or at least my books) will come from online promotion, but I’ve begun to realize that promotion is a marathon, not a sprint. It also seems silly at times, a matter of “The House that Jack Built.” Every day I write and promote an article on my blog that promotes the blog where I have another article that’s supposed to promote the book that I wrote. Whew! 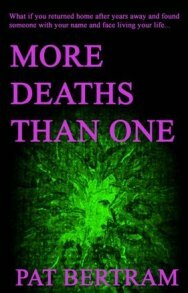 Sometimes I even write a second article to promote the one on my blog that promotes the one on someone else’s blog that promotes the book that I wrote. I have ten days left of my Daughter Am I blog tour, and then it will be time to re-evaluate my online life. All these words just to announce today’s blog tour stop: The Challenge of Research. 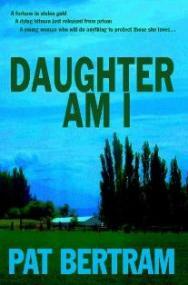 You can also register to win a free print copy of Daughter Am I. Description of Daughter Am I: When twenty-five-year-old Mary Stuart learns she inherited a farm from her recently murdered grandparents — grandparents her father claimed had died before she was born — she becomes obsessed with finding out who they were and why someone wanted them dead. Along the way she accumulates a crew of feisty octogenarians — former gangsters and friends of her grandfather. 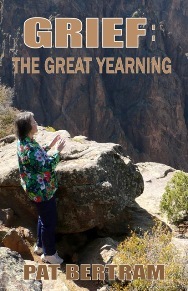 She meets and falls in love Tim Olson, whose grandfather shared a deadly secret with her great-grandfather. Now Mary and Tim need to stay one step ahead of the killer who is desperate to dig up that secret. I cleaned my fridge today becuz yesterday I noticed a very unpleasant smell in the room every time I opened the fridge. Turns out it was a month old package of … why I’m not exactly sure. BUT — did I mention I finally reached the 96,000 word count in my almost-final draft of Omatiwak: Woman Who Cries?